Gallegos y Baile Flamenco, Saturday March 25, 2017 @ 3pm at the El Paso Downtown Library Theater. El Paso, TX. Gallegos y Baile Flamenco, Saturday Sept. 24, 2016. El Paso, TX Downtown Library more info coming soon! 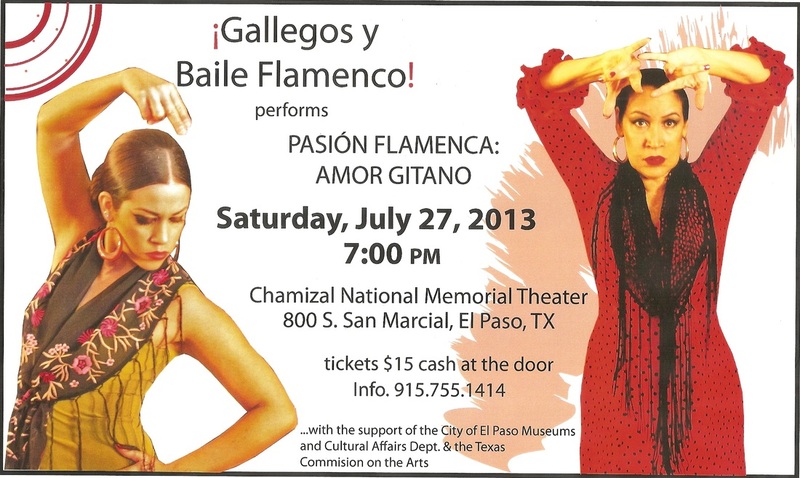 Gallegos y Baile Flamenco perform at the Main Library Saturday Jan. 4th, 2014 at 2pm. Tickets $15 at the door (cash only).